PCs are full of software out of the box that will slow down your computer. An easy way to speed up your PC is to uninstall all this software that you simply do not need. A common name coming out of the industry for this software is "crapware". Internet Explorer: Cookies, History, Temperary files. Registry: Tidy up the records, removing old entries and issues. (1) The startup times can be sped up by not loading all the startup applications every program demands. It seems that all new programs seem to want to install a resident program, that sits on your taskbar, whether you need it or not. With all this gone, boot times are made must faster. (2) Running your PC with more disk space, less logs, less resident programs, will increase your memory and access times to allow the applications you want to run to run quicker. Keep an eye on your disk space - have enough empty space for your applications and operating system to create new files and temperary work spaces. Defrag your hard drive when you can, depending on how much you have regorganised. This will speed up the slowest task of looking into the hard drive. Have the maximum amount of Ram. More ram, less disk swapping, a faster PC. Computers work by loading the information from the drive, putting into ram, processing it, and then saving it back. When a PC has enough Ram, it can hold this data in it's memory for longer, without having to keep swapping it to the hard drive. When you use 64Bit operating systems, like Windows 7 or Windows Vista, you can access plenty of ram - 16Gb is fairly standard. The rest of us using XP Pro can only access about 3.5Gb. Defragging your hard drive will also drive the speed up. Perfect Disk by Raxco is an advanced defragging tool that will scedule a defrag, or even run one when the screen saver comes on. Perfect Disk has many features, and will also work for Exchange Server. You can defrag a single file, or even work "offline" and fix the system files. Highly recommended. PCs can be hugely speeded up by getting rid of spyware and malware. This horrible software attaches itself to your Internet Browser, and starts to install programs, monitor internet usage, read your hard drive. 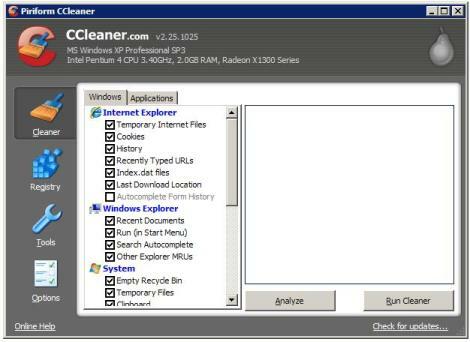 Download and install Malware Bytes cleaner software. I have seen PCs speed up 300% because of the amount of rubbish picked up by surfing badly. Surf intelligently by going to credible internet sites as much as possible. This will keep you the speed of your PC running at optimum. Visiting hacking sites, free software sites, loading up programs from Bit Torrent will reduce the speed of your PC.